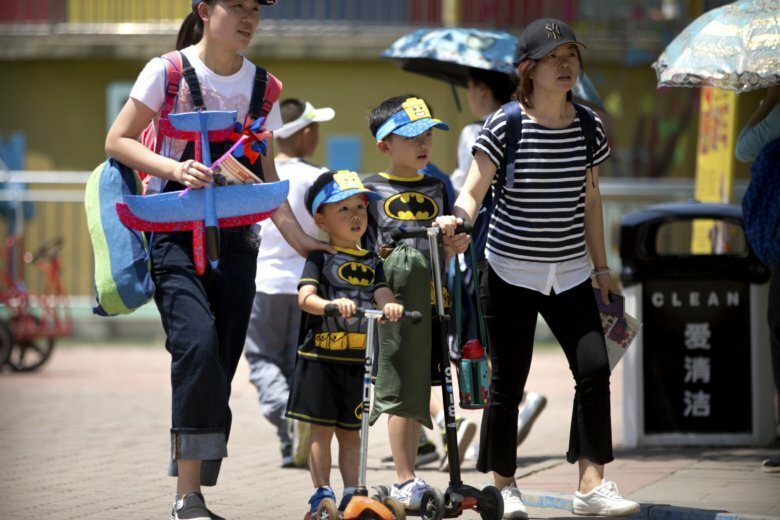 BEIJING (AP) — China is eliminating a trio of agencies responsible for enforcing family planning policies in a further sign the government may be planning to scrap long-standing limits on the number of children its citizens can have. China currently has the world’s largest population at 1.4 billion, which is expected to peak at 1.45 billion in 2029. While authorities credit the one-child policy with preventing 400 million extra births, many demographers argue that the fertility rate would have fallen anyway as China’s economy developed and education levels rose. Over its 36 years of existence, the policy vastly inflated the ratio of boys to girls as female fetuses were selectively aborted in line with a preference for male offspring. China is predicted to have around 30 million more men than women by the end of the decade.